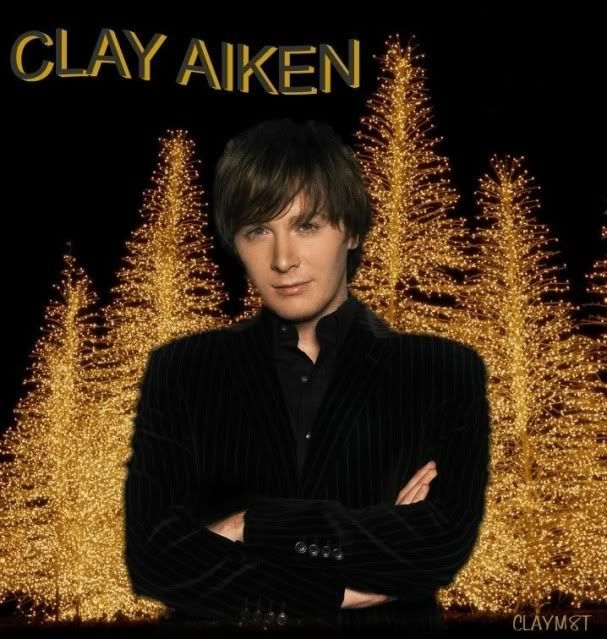 We all know that Clay Aiken has a wickedly quick wit and it’s pretty hard to put one over on him. So……..do you think he could answer the following questions on his own without the use of friends or references? Each of the following questions is about a Christmas Song. Take a minute and see if you know the answers. If you get stuck, try singing the song until you get to the answer. I will post the answers tomorrow!! Considering Clay has said many times he forgets the words..i don't think he could answer all those w/o help! I know I couldn't! Last year during JNT '12 he called into a local radio station here in Boston and they asked him a question regarding the 12 days of Christmas- "on day 7 what did my true love give to me" Clay says " crap"……the show hosts starting cracking up and said " I don't think that's what was given"
A cute moment with a typical Clay answer! I miss him this year!!!! Clay could probably get a few of those questions knowing his song lyric memory! Because I used to watch the show, Im pretty sure those are Hop-A-Long Cassidy boots that are wanted, which used to be my favorite cowboy TV show back in the day. That was a fun test, but the best part was Clay's picture at the end. How handsome he is! Error: Error validating access token: Session has expired on Tuesday, 21-Aug-18 16:13:01 PDT. The current time is Saturday, 20-Apr-19 02:18:33 PDT.